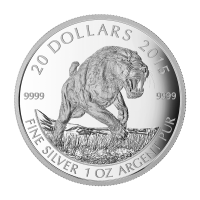 Purchase your 1 oz 2018 Predator Series Wolf silver coin from our store for the lowest price online. 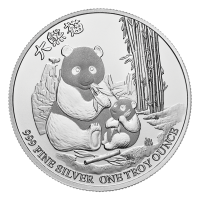 The Predator series, by the Royal Canadian Mint, saw its inception in 2016 and this coin, featuring one of Canada's most beautiful animal inhabitants, is the third instalment out of four. The coin's reverse features a dynamic rendering of Canis Lupus (the wolf), ferociously closing in on his prey and defending his title as an apex predator. 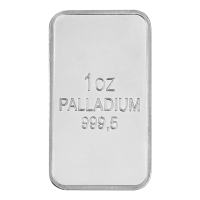 Set in crisp relief against a field of light catching, meticulous radial lines, this image is joined by the Canadian legend, as well as the coin's weight and purity. 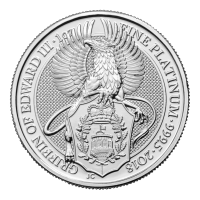 The obverse feature is a delicately engraved portrait of Elizabeth II, set on the same dazzling field of micro-engraved radial lines. Elizabeth II's regal title can also be seen on the obverse, as can the coin's denominational value and year of issue. 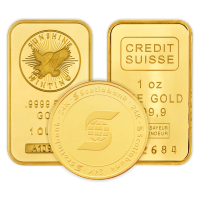 The Royal Canadian Mint has long been a respected name in coin design and minting, due to globally acclaimed series such as their Birds of Prey series, which preceded this one with incredible success. Rise to the head of the wolf pack with this high-adrenaline artwork and fortify your holdings with a 1 oz 2018 Predator Series Wolf silver coin today! 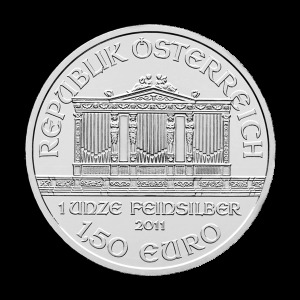 Obverse Effigy of Queen Elizabeth II and the words "Elizabeth II 5 Dollars D.G. Regina 2018"
Reverse leaping wolf and the words "Canada 9999 Fine Silver 1 oz Argent Pur"
Effigy of Queen Elizabeth II and the words "Elizabeth II 5 Dollars D.G. 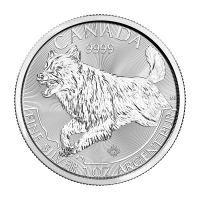 Regina 2018"
leaping wolf and the words "Canada 9999 Fine Silver 1 oz Argent Pur"
1 oz 2018 Predator Series | Wolf Silver Coin Purchase your 1 oz 2018 Predator Series Wolf silver coin from our store for the lowest price online. 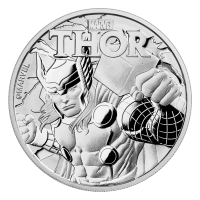 The Predator series, by the Royal Canadian Mint, saw its inception in 2016 and this coin, featuring one of Canada's most beautiful animal inhabitants, is the third instalment out of four. The coin's reverse features a dynamic rendering of Canis Lupus (the wolf), ferociously closing in on his prey and defending his title as an apex predator. 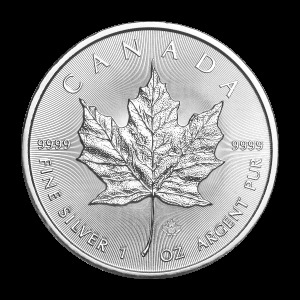 Set in crisp relief against a field of light catching, meticulous radial lines, this image is joined by the Canadian legend, as well as the coin's weight and purity. The obverse feature is a delicately engraved portrait of Elizabeth II, set on the same dazzling field of micro-engraved radial lines. Elizabeth II's regal title can also be seen on the obverse, as can the coin's denominational value and year of issue. The Royal Canadian Mint has long been a respected name in coin design and minting, due to globally acclaimed series such as their Birds of Prey series, which preceded this one with incredible success. Rise to the head of the wolf pack with this high-adrenaline artwork and fortify your holdings with a 1 oz 2018 Predator Series Wolf silver coin today!